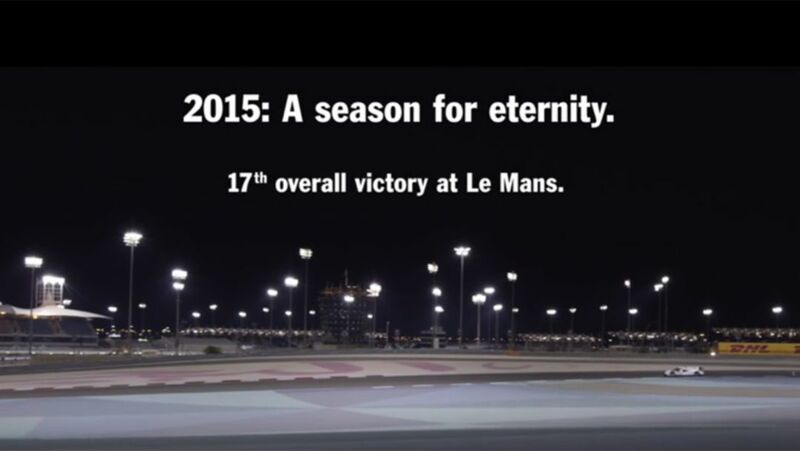 “On the racetrack we have experienced one of the most successful years in our company’s history. For 2016, we are placing emphasis on consistency and will again shift up a gear. 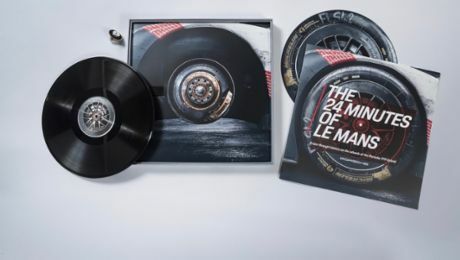 We will be the only manufacturer to tackle three of the four classes at Le Mans,” outlined Oliver Blume at the Night of Champions motorsport gala. Two instead of three 919 Hybrid – In 2016, the Porsche squad enters its third WEC season as the title defenders. Two 919 Hybrid racers will take on the nine rounds of the WEC, with the starting numbers one and two. Also at Le Mans. Porsche and Audi have agreed to reduce their effort by one LMP1 racing car each for maximum cost efficiency. Advanced car – The 919, which has undergone conceptual refinements in many areas, constitutes the technical evolution of the 2015 vehicle. Its new look will be unveiled at the WEC Prologue at Paul Ricard, France, on 25 March. The hybrid system combines cutting-edge downsizing turbo technology with efficient fuel direct injection for the two-litre, four-cylinder combustion engine and uses a lithium-ion battery to store electricity from two different energy recovery systems. The 919 Hybrid produces a system power of almost 1,000 hp and provided Porsche with many important impulses for the development of future road-going sports cars, for example, with regard to the 800-volt technology for the Mission E concept. Regular drivers continue – All six current regular drivers in the Porsche 919 Hybrid will compete again in 2016. Sharing driving duties in the LMP1 racing car with the starting number one are the winners of the Drivers’ World Championship, Timo Bernhard, Brendon Hartley and Mark Webber, with Romain Dumas, Neel Jani and Marc Lieb driving the sister car with the starting number two. Newcomer Kévin Estre – A racing professional who earned his stripes in Porsche’s one-make cup series will become a Porsche works driver: Kévin Estre from France has notched up many successes over six years at the wheel of 911 GT3 Cup vehicles, including the titles of the Porsche Carrera Cup France and the Porsche Mobil 1 Supercup. In 2015, he supported the Porsche Manthey squad in the 911 RSR at Spa and scored third place in the GTE-Pro class with Porsche Junior Sven Müller. With Kévin Estre, Porsche now has 16 works drivers under contract for the 2016 season in the LMP1 and GT categories. GT classes –Porsche again contests both GTE-Pro and GTE-Am categories in 2016. Driver champions Richard Lietz and Michael Christensen aim to defend their title in the professional category. The pair will be supported at Le Mans by Wolf Henzler. Proton Dempsey Racing fields the 911 RSR of the Porsche factory pilots. American actor Patrick Dempsey continues to follow the WEC races in 2016 as partner of the team. Whenever his filming commitments allow, he will also tackle selected races in the GTE-Am class. Additional start at Le Mans – Porsche also plans to campaign another pair of 911 RSR at the Le Mans 24-hour race. Sharing the cockpit of one vehicle are Patrick Pilet and Kévin Estre with Britain’s Nick Tandy. The sister car has been earmarked for Earl Bamber, Frédéric Makowiecki and Jörg Bergmeister. “We would be very pleased to receive confirmation from the ACO,” said Head of Porsche Motorsport Dr Frank-Steffen Walliser. IMSA Weathertech SportsCar Championship – In the third season of the most important sports car championship in the USA – formerly Tudor United SportsCar Championship – the Porsche North America team will again field two 911 RSR, which have been significantly modified. The cockpit of the number 911 vehicle is shared by Patrick Pilet and Nick Tandy. At the longer races (24 Hours of Daytona, 12 Hours of Sebring, Watkins Glen and Petit Le Mans), the pair receives support from Kévin Estre. The regular crew in the number 912 car consists of Frédéric Makowiecki and Earl Bamber. These two will be joined by Michael Christensen at the four long distance classics. The season gets underway with the 24 Hours of Daytona on 30 January. Youth development programme – Porsche further extends its successful youth development scheme. Germany’s Sven Müller and the Italian Matteo Cairoli will receive 200,000 Euro each to contest another season of the Porsche Mobil 1 Supercup. New onboard are two talented young aspirants: Dennis Olsen from Norway and the Frenchman Mathieu Jaminet. Porsche Cup – The winner of this year’s trophy for the most successful Porsche privateer is a racing driver from Scotland. Ryan Dalziel received the coveted trophy from Dr Wolfgang Porsche, the Chairman of the Supervisory Board at Porsche AG. In addition, Dalziel takes home a 400 hp Porsche 911 Carrera 4S Cabrio valued at over 165,000 Euro. Thanks to his successes in the Pirelli World Challenge, in which he finished third overall at the wheel of the Effort Racing 911 GT3 R, he earned 5,580 points over the 2015 season. Second-placed Klaus Bachler can look forward to prize money of 30,000 Euro. In third place, Marco Seefried wins 25,000 Euro. The Porsche Cup has been awarded since 1970 and is based on an idea of Ferry Porsche. Please find additional information in the press release under "Download".